University Distinguished Professor Diana Wall, director of the School of Global Environmental Sustainability and a professor in the Department of Biology, was elected May 1 to the National Academy of Sciences, a top honor in recognition of her distinguished and continuing achievements in original research. She is Colorado State University's tenth faculty member elected to the reigning body of national thought leaders on all things scientific. When the news was announced, Wall said she received 25 congratulatory calls in a span of 15 minutes. By the time the afternoon rolled around, she had more than 500 emails. One of the subject lines read: A Big Deal for the Big D.
"It was hard to think, it was happening so fast," she said, reflecting back to the whirlwind of a day. "It's very nice to have science recognized, and especially by your peers," Wall added. "That's the humbling part. You see other scientists as people you aspire to be like, and, all of a sudden, your research is seen on that same level." "Diana Wall is among the most respected environmental scientists in the world, and her soil ecology research has changed our collective understanding of global climate change," said CSU President Tony Frank. 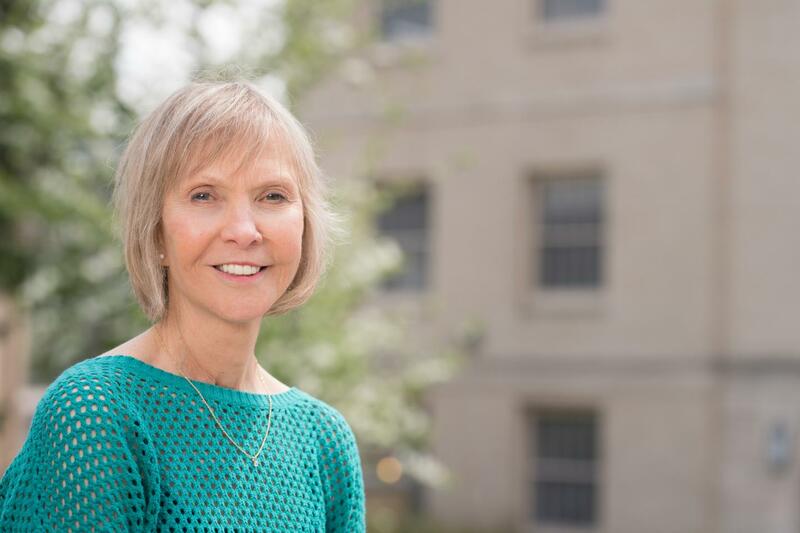 "Moreover, she is a brilliant educator who has inspired and guided scores of students, and a trusted colleague who has elevated Colorado State University through her leadership. She's also a wonderful friend and colleague – everyone who knows her has been blessed by the experience. We are enormously proud of Diana's election to the National Academy of Sciences and congratulate her on this well-deserved honor." Wall is a renowned soil ecologist who has traveled with a team to Antarctica each research season since 1989. When she first visited Antarctica, Wall said it felt like being on Mars. Wall, who is also a senior research scientist at the Natural Resource Ecology Laboratory at CSU, talked about this long-term research recently, and described the activity of nematodes, little roundworms that live in the soil. In 2004, as recognition for her work on the continent, she had an Antarctic feature named after her: Wall Valley. Wall is actively engaged in research exploring how life in soil — microbial and invertebrate diversity — contributes to healthy, fertile and productive soils and, consequently, to society, and the consequences of human activities on soil globally. Her research on soil biota, particularly soil nematodes, extends from agroecosystems to arid ecosystems. She currently serves as Science Chair for the Global Soil Biodiversity Initiative. In recent years, she spearheaded the development of a first-ever Global Soil Biodiversity Atlas, containing facts and spectacular photos of earthworms, fungal species, and soil-based bacteria. Wall was also featured in Nature, which described her as "one of the most celebrated and outspoken experts on the hidden biodiversity in dirt." Wall has served as president of the Ecological Society of America, the American Institute of Biological Sciences, and the Society of Nematologists. She has also served as chair of the Council of Scientific Societies. She is a fellow of the American Association for the Advancement of Sciences, a member of the American Academy of Arts and Sciences, recipient of the Ulysses Medal, the 2013 Tyler Prize for Environmental Achievement, and the Scientific Committee on Antarctic Research President's Medal for Outstanding Achievement in Antarctic Science. Wall also received in 2016 the British Ecological Society's highest award, Honorary Member, among numerous other honors over the years. In 2017, she was inducted into the California Academy of Sciences and received the Eminent Ecologist Award from the Ecological Society of America. She holds an Honorary Doctorate from Utrecht University, The Netherlands. She received a B.A. and Ph.D. at the University of Kentucky, Lexington. Wall is one of 84 new members and 21 foreign associates to join the National Academy of Sciences. A full list of those elected to the Academy as part of the class of 2018 is available online. The scientists elected today into the academy bring the total number of active members to 2,382 and the total number of foreign associates to 484. CSU's other Academy members are Dr. Ed Hoover, a veterinarian and professor of microbiology, immunology, and pathology; University Distinguished Professor, A.R. Ravishankara, a professor of chemistry; Barry Beaty, professor of microbiology, immunology, and pathology and a University Distinguished Professor; the late Marshall Fixman, professor of chemistry and a University Distinguished Professor Emeritus; and George Seidel Jr., professor of biomedical sciences and a University Distinguished Professor Emeritus.